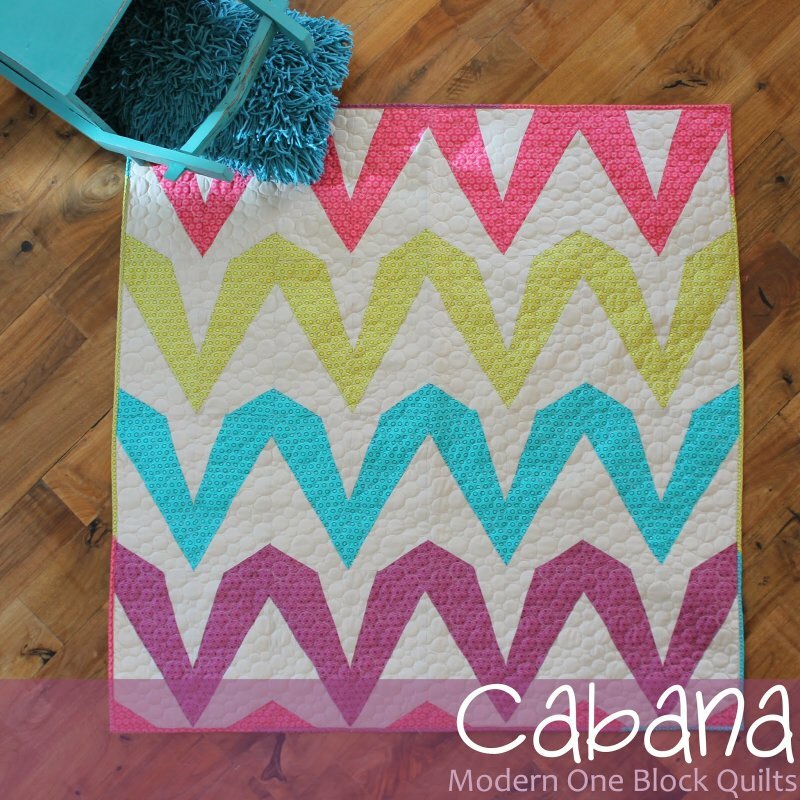 "Cabana is the seventh quilt in our book, Modern One-Block Quilts. When Kathleen and I originally made the Cabana quilt we made it in more of a tan color-way. I liked that version, I did some pretty cool custom machine quilting, and the photographers over at C&T did a great job photographing it. The quilt was literally inspired by Cabanas. I kinda love the beach. "When we decided to re-make this version I was honestly, quite worried about re-making it. I could not imagine that we could make it in any color way that I would like. Kathleen is pretty much a genius when it comes to working with color and she immediately came up with the idea to use these Oval Elements by Art Gallery Fabrics, and the Sand Bella Solid by Moda Fabrics. The fabrics sat on our cutting table for a few days, and I really couldn't imagine them in this quilt. Then Kathleen started cutting them out, and sewing them, and I started falling in love, and maybe becoming obsessed! 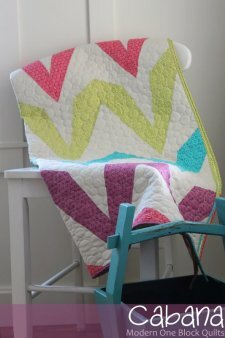 I LOVE this quilt!"